Have you always wanted to write and publish? Dom's new book can help! You've always dreamed of seeing your name on the cover of a book. It's time to stop dreaming and start publishing. I've published both fiction and non-fiction. I've signed a six-book contract with one of New York's most prestigious publishers, but also independently published several titles, too. So with book number fifteen, it's time to give back. 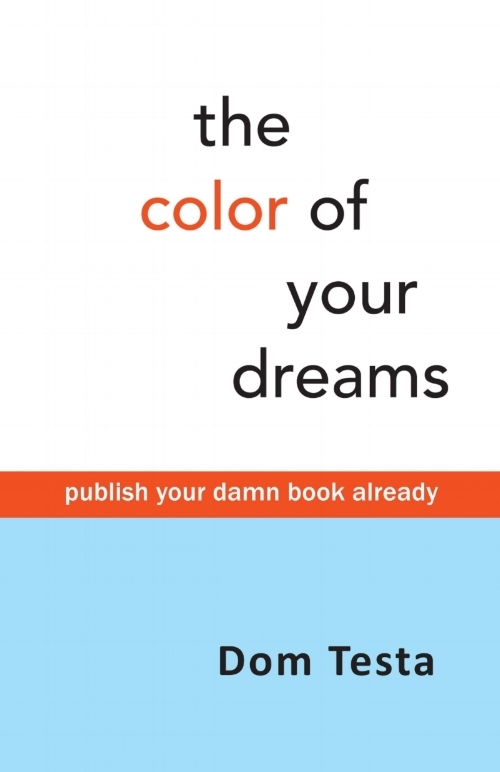 The Color of Your Dreams helps you get past the fears and insecurities about your writing and guides you toward the ultimate goal: Publishing your own book. and much, much more. No, this book won't teach you HOW to write - but it will help you get your mind right about the mental speed bumps that have kept you from following your dream. Warning: This book is not for everyone. There is language that may offend, and it's certainly not a book for children. Need your own copy? Just follow either of the digital pathways below to download a copy right now. This link will take you to the ebook. This link will take you to the paperback. This link will take you to the audiobook. And be sure to recommend it to friends who also have a lust for words. The award-winning Galahad series explodes in an all-new collection! Now you can collect all six books in a special three-volume omnibus series. 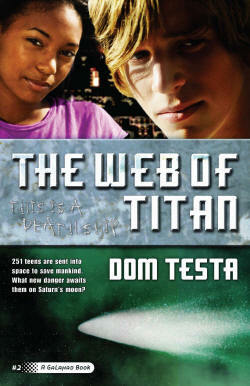 The first volume, Leaving Earth, contains the first two books in the series, The Comet's Curse and The Web of Titan. 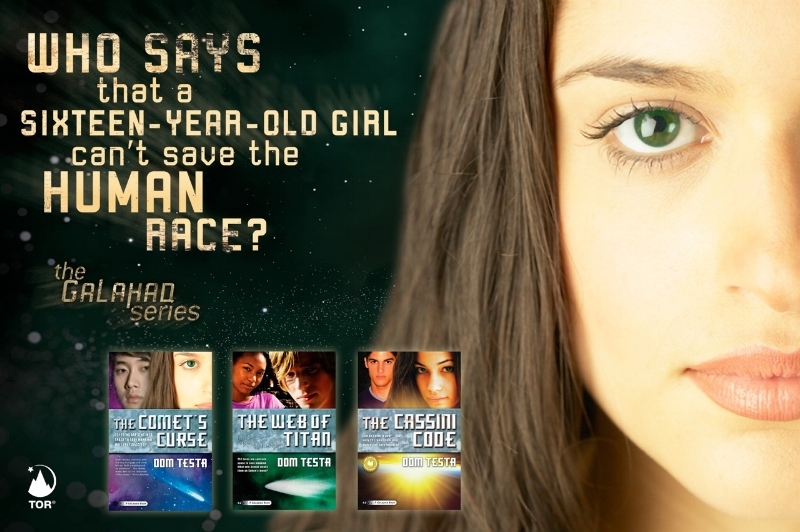 Triana and the crew of Galahad encounter more than they ever imagined in the first few months of their journey to a new world. In The Comet's Curse they must confront a deranged stowaway who is determined to destroy the ship and the mission. In the tantalizing sequel, The Web of Titan, the crew is drawn into a mystery emanating from the eerie, orange moon orbiting Saturn. The second volume, Into Deep Space contains the complete third and fourth novels, The Cassini Code, and The Dark Zone. Now, Volume Three, A New Life (with Cosmic Storm and The Galahad Legacy) is here! In the thrilling conclusion to the series, Triana and her shipmates have decisions to make that are both painful and life-threatening. And some of Galahad's biggest mysteries are solved. Scoop it up now, and enjoy the entire saga! Also, look for the original Galahad books (in limited release) from Tor Teen. When the tail of the comet Bhaktul flicks through the Earth's atmosphere, deadly particles are left in its wake. Suddenly, mankind is confronted with a virus that devastates the adult population. Only those under the age of eighteen seem to be immune. Desperate to save humanity, a renowned scientist proposes a bold plan: to create a ship that will carry a crew of 251 teenagers to a home in a distant solar system. Two years later, the spacecraft Galahad and its crew -- none over the age of sixteen -- is launched. The Galahad series won multiple EVVY Awards for Best Young Adult Book, and the first book in the series, The Comet's Curse, won an international grand prize from Writer's Digest and was chosen as the 2015 Youth One Book One Denver selection. The official Buster Blank site has details on each book, plus info on how to bring Buster to your school! 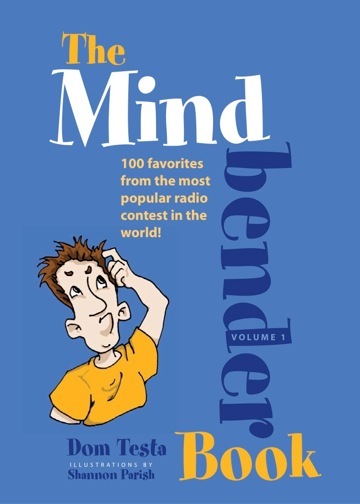 The Mindbender Books are great for families, friends, clients, co-workers, kids, teens, teachers, parents, rivals, know-it-alls, mortal enemies, and people who like fun things. They also make perfect stocking stuffers for the holidays. All of the Mindbender books can be ordered right here. And, what could be better than getting a new Mindbender sent to your email inbox each day? It's called The Mindbender Club, it costs nothing to be part of it, and you can sign up right here. Share the link with your family and friends, too! Update: The much-requested FOURTH volume of the Mindbender Book series is here! Get your own copy - and some for friends - right here. Harlan Plumber's chilling new/old collection of tales. I'm often asked why I write under a variety of pen names (see Buster Blank above). It's because I love writing in so many different genres, and the result could be very confusing for some. So, if you happen to see a book or three floating around by someone named Harlan Plumber, you should know that Harlan is me. I put on my Harlan hat whenever I write suspense/thriller/speculative fiction for adults. This collection of short fiction is named after the lead story, Wednesday, which I actually wrote about 25 years ago. And, whatta ya know - it's now officially available as an ebook (only). Download your copy from Amazon/Kindle right here. Or, if you'd like to try a free preview on your Kindle device/app, just click here. Download your copy from Barnes & Noble (Nook) right here. Download your copy from Kobo right here. The most profound effect on education doesn't happen in the classroom . . . it happens before the child even enters the building. For decades we've watched student achievement scores drop and proficiency levels plummet. Parents demand better results, but often miss the most obvious problem in their child's education. I've spent more than 20 years working with middle school students, helping them to understand how their mindset affects not only their test scores today, but the abstract future they can't yet see. Smart is Cool explores the history of dumbing down, the impact it has on our children and our country, and sets out practical solutions to help turn it around. Get your copy today - it's on sale - and see what a difference it makes.